Running out of batteries on your watch is one of the biggest problems with smartwatches. 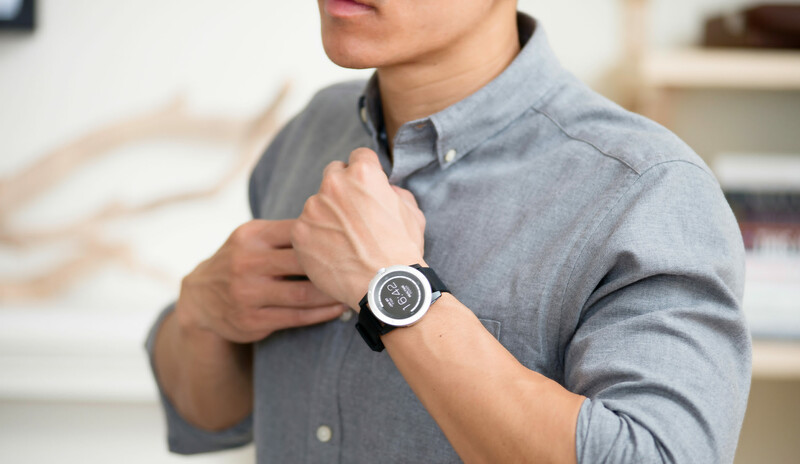 Matrix Industries devised a way to harness our body heat to power smartwatches, introducing PowerWatch, the world's first smartwatch that uses thermoelectric technology, so you never have to recharge or replace its battery. Thermoelectric technology is the conversion of heat directly into electrical energy through seebeck effect. The Matrix PowerWatch has a high contrast display, comes with a military-grade nylon strap, and is water resistant up to 50 meters. It is the only smartwatch in the world to feature a power meter which indicates power being generated and power generated for the day. The power you produce also acts as a more accurate measure of your calories burned since a calorie is defined as a unit of heat energy. The watch will send this information to your phone via Bluetooth, displaying it in circular charts so you can see how much energy you're creating and compare it to data from previous days. Moreover, When the watch is removed it powers down into sleep mode until it automatically wakes up when put back on.Although PowerWatch lacks the optical heart-rate monitor seen on many other wearables, the possibilities are infinite and the company's technology gave the industry a new way of powering wearable devices.Want to know more about this awesome device? Follow this link!